The hanbō can be used as a means of striking, restraining or even throwing someone. It is useful to know because sticks are abundant and can be picked up if attacked. In Bujinkan we rather hold the hanbō as if it was not a weapon, it could be disguised as a cane for example. Because of the length and strength of the hanbō it is a very capable self defence weapon. In the summer 2010 Budo Shop released a Stick Fighting DVD with Mats Hjelm containing all the techniques from the Stick Fighting book (see below). In 1971 Kodansha released a book with Hatsumi Sōke and Quentin Chambers, this book have been a good resource for many martial arts instructors and practitioners, not just within the Bujinkan, and this for a good reason. The techniques from the book is a collection of techniques from various ryū-ha, mostly from Kukishin-ryū. 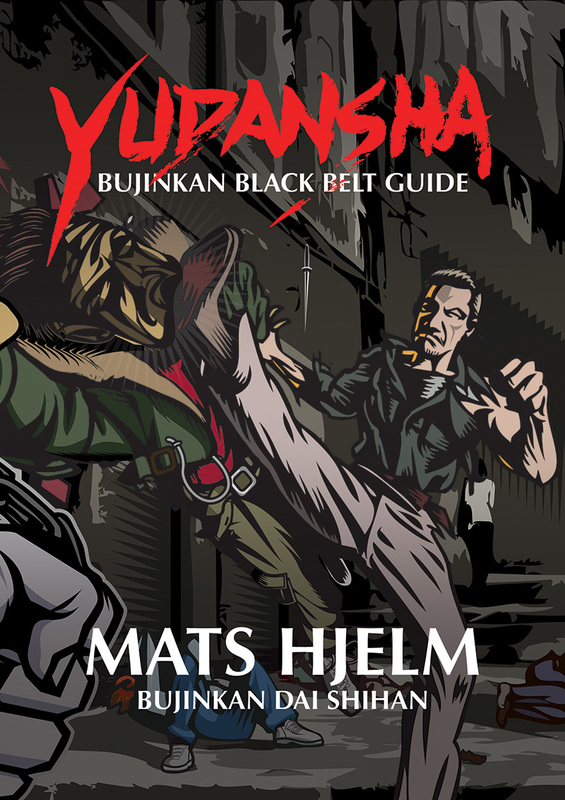 The book have step-by-step instructions with over 300 pictures, but if you don’t have previous experience in Bujinkan the movements might be difficult to fully understand. Following is the techniques covered in the book “Stick Fighting; techniques of self defence” by Masaaki Hatsumi and Quintin Chambers and the “Stick Fighting” DVD by Mats Hjelm released by Budo Shop in 2010. * One shaku is approximately equal to one foot, and 3 shaku is almost 91 cm. ** At least one other branch of Kukishin-ryu (not Bujinkan!) hold the hanbō exactly as they would hold a sword and fight from there. If they had a stone attached to the end it would make sence.